Often times, when budgets get tight, the first things to get cut are luxuries. We say “so long” to coffee and donuts on the way to work and bid farewell to the days of weekly manicures. We cancel our newspaper subscriptions and bow out when friends ask if we’re going to a midnight premier at the movies. While cutting back is a good way to reign in spending when times are tough, there are ways to keep some of these small pleasures in your life and within your budget. Before you cancel your newspaper subscriptions entirely to save a few bucks, consider two alternatives: decreasing and digitalizing. Many newspapers offer cheaper subscriptions with weekday only or weekend only delivery, so you can stay informed and stay within your budget. Many newspapers, and some magazines, also offer digital-only subscriptions that cost less than the print subscriptions and allow you to read the content online at your leisure. Digital subscriptions are also eco-friendly, making them good for your wallet and the environment. Keeping a manicure looking fresh from week to week can get expensive, but trying to do it yourself can be a mess if you’re not ambidextrous. Luckily, for the cheap and chic, many salons offer a simple polish change at a price much cheaper than a full manicure. If you’re willing to clip and file your nails yourself before you head to the salon, you can have a fresh coat of polish put on without the mess of an at-home application or the high price tag of a full manicure. By applying a clear coat yourself every 3-4 days, you’ll extend the time between polish changes, too. While renting, borrowing and streaming movies are all cheap alternatives to a night out at the movies, you can reduce the cost of a movie night without losing the theater experience. Joining your local theater’s discount club is a good place to start, as frequent trips can earn you discount tickets or free refreshments. Opt for matinee showings when possible, or wait for the movie to show in a less expensive second-run theater. Check if your theater offers discounts for students or see if any of your memberships, like AAA or AARP, will earn you a discounted price. If that morning coffee and donut fix is your luxury of choice, you don’t have to give it up entirely. 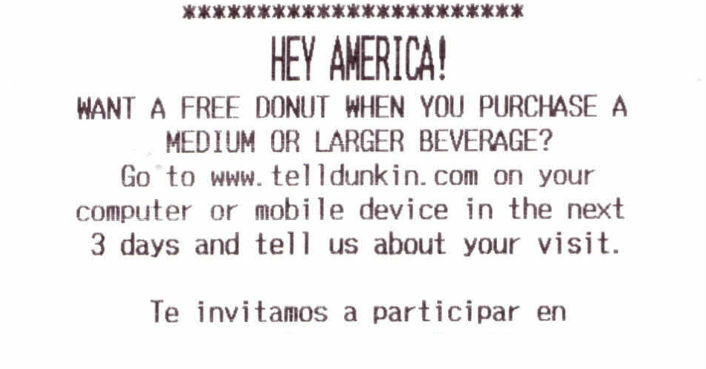 The bottom of every Dunkin receipt has instructions for getting a free donut with the purchase of any beverage, medium or larger. Simply go online within 3 days of getting your receipt, fill out the brief survey and get a validation code good for a free donut. Though Starbucks doesn’t have surveys at the bottom of every receipt, if you’re lucky enough to get one, you’ll get a free small (“tall”) drink of your choice on your next visit, with no purchase necessary. And it’s not just the coffee shops that have survey offers, so check your receipts from other vendors too. Restaurants will often give you a free appetizer or dessert just for filling out a customer satisfaction survey, and some vendors will enter you into a drawing for a gift card just for reflecting on your in-store experience that day. These surveys usually take around 5 minutes to complete and those few minutes of work could help keep make some of those other small luxuries in life more affordable. When you’re choosing items for your cart, pay attention to items that are specially marked and know what the website’s various symbols mean. Certain items may be marked as eligible for free or discounted shipping, or you may be able to save by ordering multiple items of a certain brand, line or style. If you don’t know what symbols to look for or you don’t notice the symbols at all, you may be missing out on savings without even realizing it. You should also pay attention to the header and the sidebars throughout the website, as they often advertise upcoming sales. Online stores run sales and promotions as often as physical stores, if not more often, but the ads for these sales aren’t always delivered to your doorstep or played during commercial breaks. Unless you’re ordering on a strict deadline, simply waiting a few extra days for the start of an upcoming promotion could save you 10% or more on your order. But the savings don’t stop once you’ve finished filling your cart and clicked “proceed to checkout.” There are still opportunities to save as you work your way toward submitting your order. You can earn big savings if you’re not afraid to wait for your order. Vendors and delivery services know that last minute shoppers will opt for more expensive overnight shipping so don’t fall victim to the procrastination price hike. Choose standard shipping options rather than rush options, choose ground over air, and rely on the USPS instead of FedEx or UPS when doing so will save you cash. If you’re lucky enough to be ordering from a company that has both an online shop and physical stores, you may be able to select an even cheaper shipping option: ship to store. 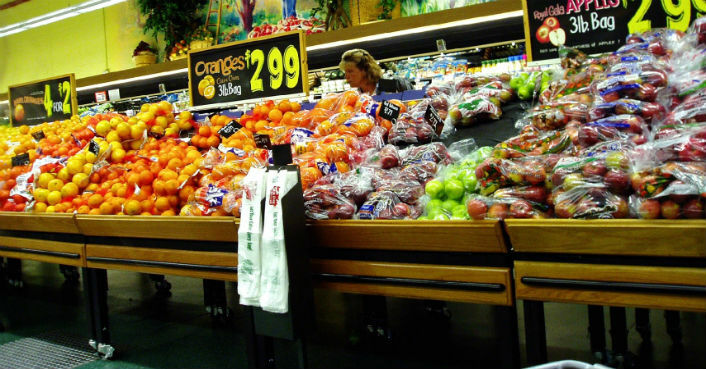 Some stores allow you to send your order to the nearest physical store for a cheaper price, or for free, as long as you come to pick it up yourself. If there’s a store near you and you don’t mind a short drive, you could save big. Now for the golden egg of online shopping tips: Always – I repeat, ALWAYS – search for a promo code. To do this, simply open a new tab in your browser and navigate to Google. Type in the name of the company or website, and the words “coupon code,” “promo code” or “savings code.” You will be given a list of websites containing various alphanumeric codes that you can enter at checkout for big savings. It’s free, it’s easy and it works almost every single time. The most common coupon codes are for free shipping, and 5%, 10% or 15% off your order. Sometimes, the codes come with a stipulation that you spend a certain amount, or have purchased a certain brand of items. It doesn’t hurt to try entering the codes, either. If the code is expired, faulty or doesn’t apply to your order, the website will let you know and you can usually just try a different code. Keep trying until something works. The only catch is that most websites will only let you use one code per order, so be sure to calculate the savings if there are multiple codes to choose from. While “10% Off” may be tempting, that “free shipping” code may work out to a larger savings in the long run. Or, if you’re just a few dollars off of being eligible for that “$5 off $50” code, maybe you can add on that extra item you were debating without feeling guilty. If you time your purchases carefully, shop the sales, and aren’t afraid to try a few promo codes before you checkout, you can save big online with minimal effort. Another way to save, if you’re not in a rush is to abandon your shopping cart. Many retailers respond by offering you a coupon, or a targeted online ad to try to get you to return to the store. Check out the first article in this series at “Smart Online Shopping, Part 1: Security” for tips on a safe online shopping experience! Online shopping has become so mainstream that much of the early hysteria over the potential identity theft associated with online purchases has waned. In place of this hysteria, though, many have adopted a rightfully placed healthy fear of having their purchasing data compromised. There are always risks associated with making online purchases, but there are also many ways to protect yourself and your financial data from being misused. Sticking to secure websites and transactions for your online shopping can significantly reduce your risk of compromising your financial information. A simple way to see if the website is secure is to look for some sort of symbol and logo along the top or bottom of the website indicating that the company has protected it’s purchasing process. Often times, you’ll see a padlock, a key, a checkmark or some other symbol indicating that the company has secured it’s website for the protection of their customers. Not all websites advertise their security, though. Another way to see if the website is secure is to look to the URL, that is, the address bar at the top of your Internet browser. Most URLs you see start with “http,” but some will start with “https.” The “s” stands for “secure,” and that little “s” means you can trust the security of the transaction you’re about to make, even if the website is not otherwise labeled as protected or secured. But the presence of an “https” or a logo with a lock and key is never a guarantee of security. If you’re looking for added security, or if the website you’re dying to shop on doesn’t display the security indicators above, there are other methods for protecting your purchasing information. Many banks offer alias cards for your credit or debit accounts. These cards, also called “virtual accounts” or “secure cards,” allow you to make online purchases without having to enter your actual credit or debit card information. Alias credit cards or accounts often have single-use numbers that wouldn’t work if someone tried to re-use their information maliciously. In the case of alias debit cards, you can transfer money to the alias account before making your purchase. Should the debit card number become compromised, the would-be thief would not have access to your full account, but would instead be limited to the amount you had transferred for the purpose of the purchase. If your banking company doesn’t offer an alias card or virtual account, you can still use a single-use gift card for your purchases. These gift cards are often sold at grocery stores or gas stations, and are most commonly Visa or American Express cards. This is probably the safest way to purchase online, as the cards are not in any way linked to your actual banking information. Just like with the alias debit cards, any would-be thief who obtained the card number would be limited to the amount of damage they could do. In this case, the only thing compromised would be whatever amount remains on the gift card. With so many easy ways to protect your purchasing information, there’s no reason to be afraid of online shopping. And, if you’re going to move forward with shopping online, check out “Smart Online Shopping, Part 2: Saving” for tips on getting the most bang for your now-protected buck!